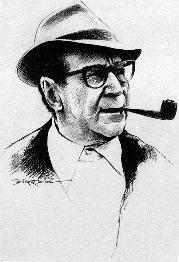 The three (1994) images of Simenon are based on this portrait by the Belgian artist Désiré Roegiest. 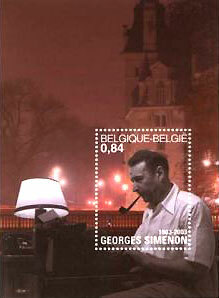 Three 1994 stamps honoring Simenon were issued simultaneously in France, Belgium and Switzerland. 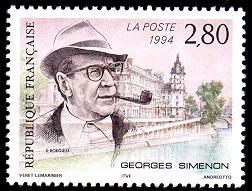 The background of the French issue, engraved by André Otto, is the Quai des Orfèvres; for the Belgian stamp, Liège, Simenon's birthplace, engraved by Paul Huybrechts; and the Château d'Echandens, near Lausanne, where Simenon lived for many years, on the Swiss stamp, engraved by Pierre Schopfer. 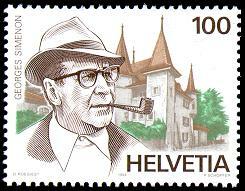 Rocambole, Arsène Lupin, Nestor Burma. In Mattieu Rutten's Simenon, ses origines - sa vie - son uvre, he shows a copy and identifies the artist as the Russian engraver, Victor Chapil. 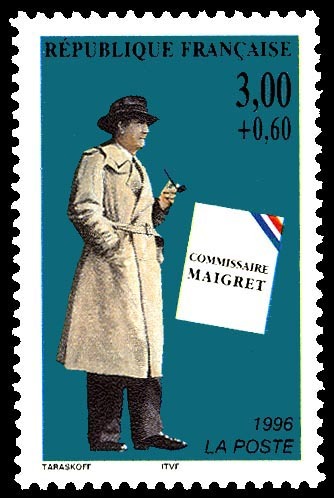 In Brilliant Together in Paris, John Leonard's review of Pierre Assouline's biography of Simenon, he writes, "...when, in 1928, he first imagined Maigret, the cop who seeks 'to understand and not to judge.'" Leslie Garis, in Simenon's Last Case, writes: "Maigret's motto is 'to understand and not to judge,' and indeed what elevates him in the genre is his passion to know the human heart..."
John Boe, in Simenon, Apollo and Dionysus: "Like a detached analyst, Inspector Maigret doesn't judge, he only unveils...."
Michel Lemoine, in La Méthode d'enquête selon Maigret, "on ne peut manquer de rapprocher cette morale de la compréhension de celle de Simenon lui-même, pour qui comprendre importe davantage que juger." 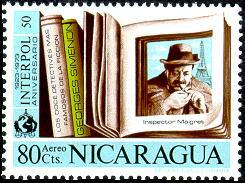 And in my translation, The Method of investigation according to Maigret, "one cannot fail to come closer to the understanding of Simenon himself, for whom to understand is more important than to judge." 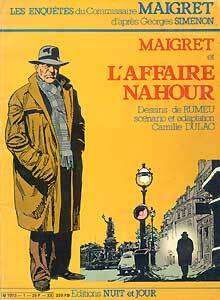 Waclaw Rapak, Une lecture existentielle...: "Adrien Josset, l'inculpé, celui que le commissaire Maigret veut comprendre et non pas juger..." [Adrien Josset, the accused, whom Commissioner Maigret wants to understand and not judge...]. 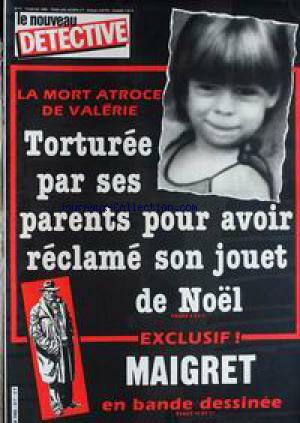 Ana Gonzalez-Salvador, Le Délit et ses corps: Maigret contre l'arrêt: "...ne pas juger mais découvrir la vérité, «comprendre les gens»..."; ["not to judge, but to discover the truth, 'to understand people'"]. 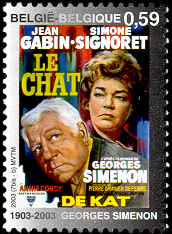 It is reproduced large on the back cover of Maurice Piron's L'Univers de Simenon, and smaller on the front cover. 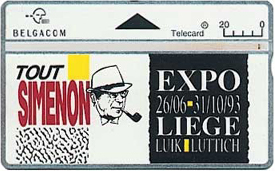 The back cover says "Comprendre et non pas juger... establishes the sense of the works of a novelist like no other..."
Belgian telephone card from the 1993 Liège Expo - 26/6 - 31/10. 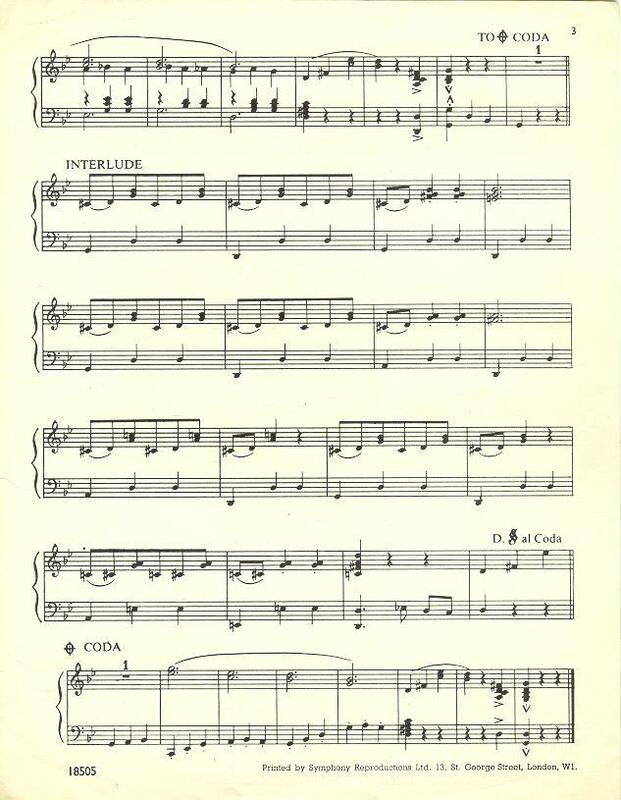 A friend of mine made a midi file (8k) from the sheet music that you can play here. 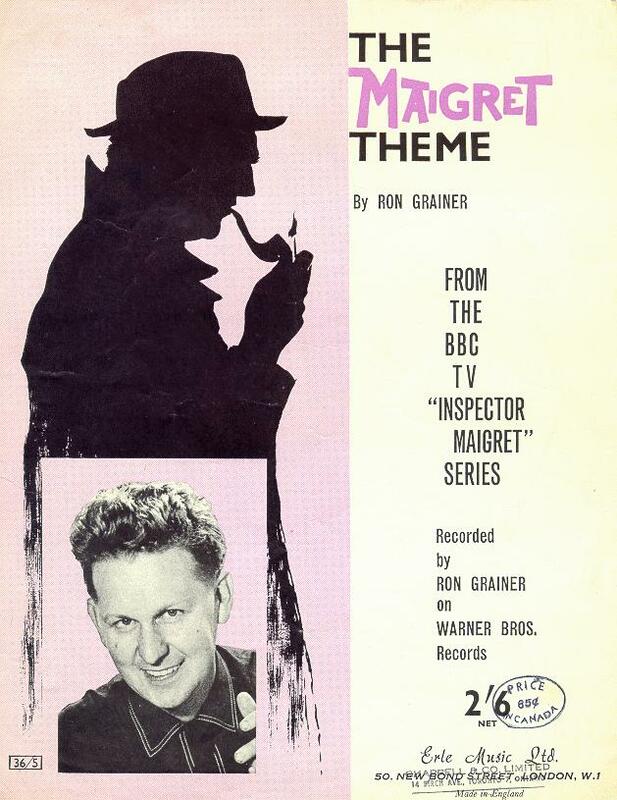 Jaak Verdoodt has sent an mpeg (1705k) of the complete Ron Grainer version as released by Warner Brothers, here. 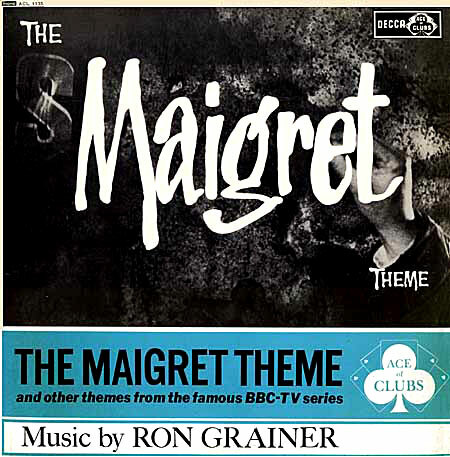 And here's a wav file (423k) of the Maigret theme from the French TV series with Bruno Cremer (originally found at the Spree TV Themes site, now apparently defunct). 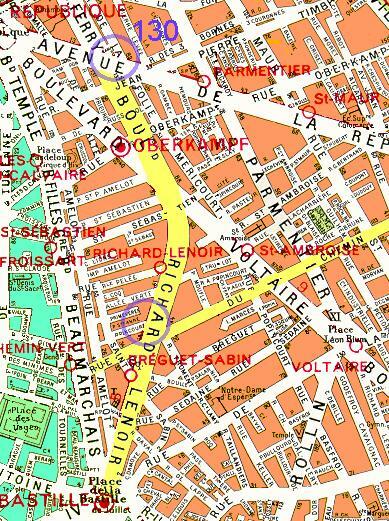 The upper circle is close to the area of No. 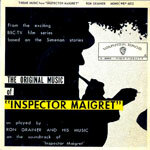 130 Boulevard Richard-Lenoir, too far north to match the descriptions in the various stories. 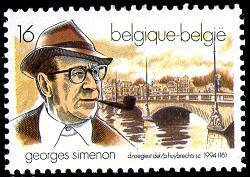 [Fenton Bresler's The Mystery of Georges Simenon contains a photograph of a two-story building, with the caption "Maigret's 'home' at 130 Blvd. 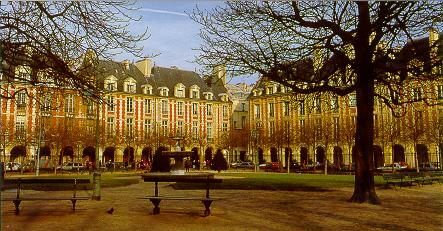 Richard-Lenoir, Paris; he lived on the non-existent fourth floor."] The lower circle, approximately Nos. 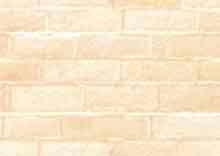 41-51. 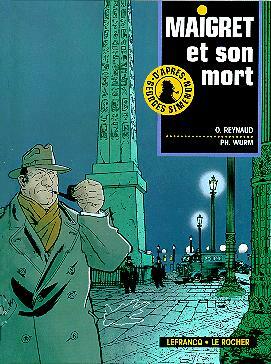 (Maigret's Dead Man, Maigret's Special Murder); story adaptation, Odile Reynaud; design, Philippe Wurm; color, Martine de Bast; Paris scenes, Frank Brichau. 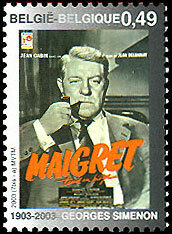 Click on the cover image (looks a lot like Gabin, doesn't he?) for a sample page. 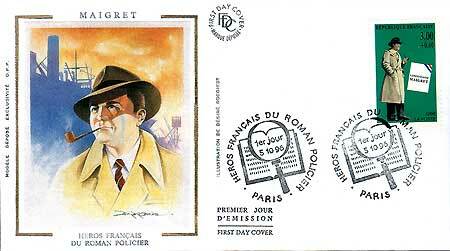 Although "Le Pendu de Saint-Pholien" is promised as "coming soon" on the back cover, apparently it was never published. 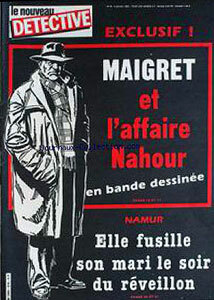 "Maigret et l'affaire Nahour a été pré-publié dans le Nouveau Détective". 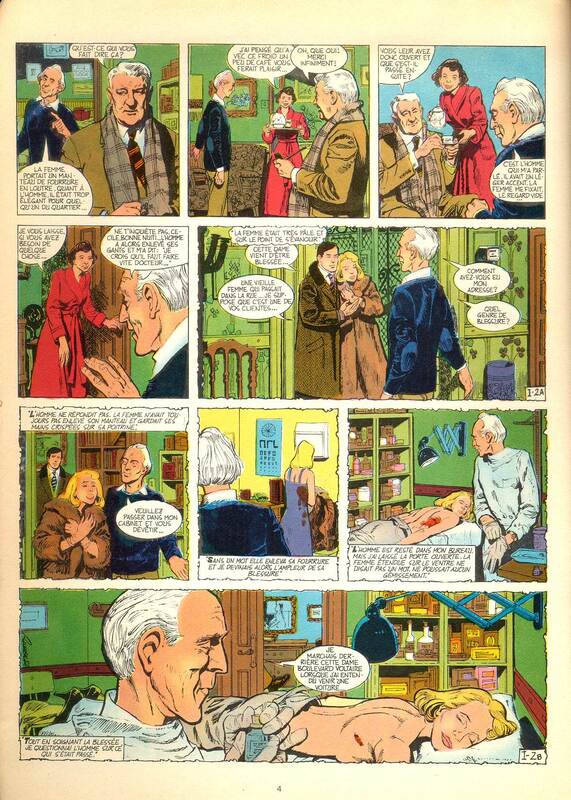 click to enlarge Le port des brumes was printed as a comic strip in Portugese in 1955. 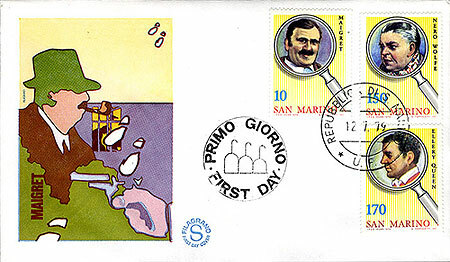 It was published in Século Ilustrado, No. 935, December 3 1955 and following editions. 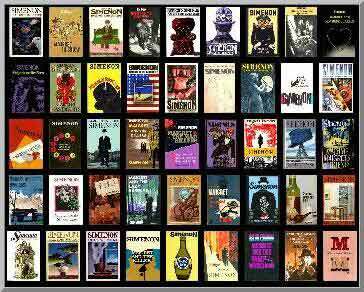 O Século Ilustrado was a weekly supplement to O Século, a Lisbon newspaper. 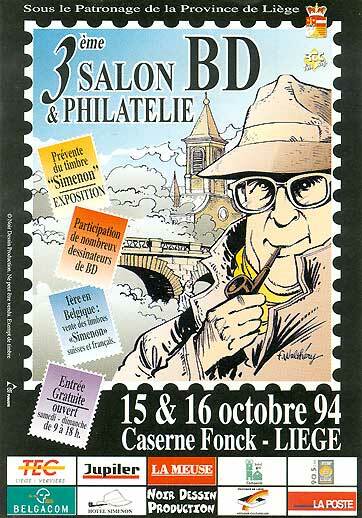 The artist of the Portuguese strip above was Jacques Blondeau, whose Maigret image appeared in this Forum as a "Mini-Mystery" in 1999! 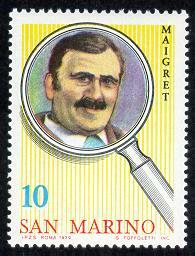 He worked then for Opera Mundi, which produced the Portuguese one as well. 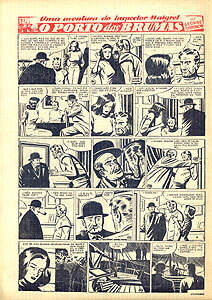 Thanks to David Derrick for pointing out that the previously listed date range for Blondeau's Maigret strips (1950-53), was an error. 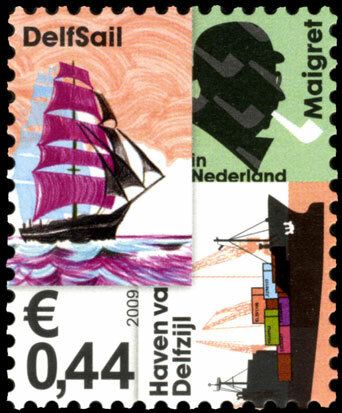 stamp information. 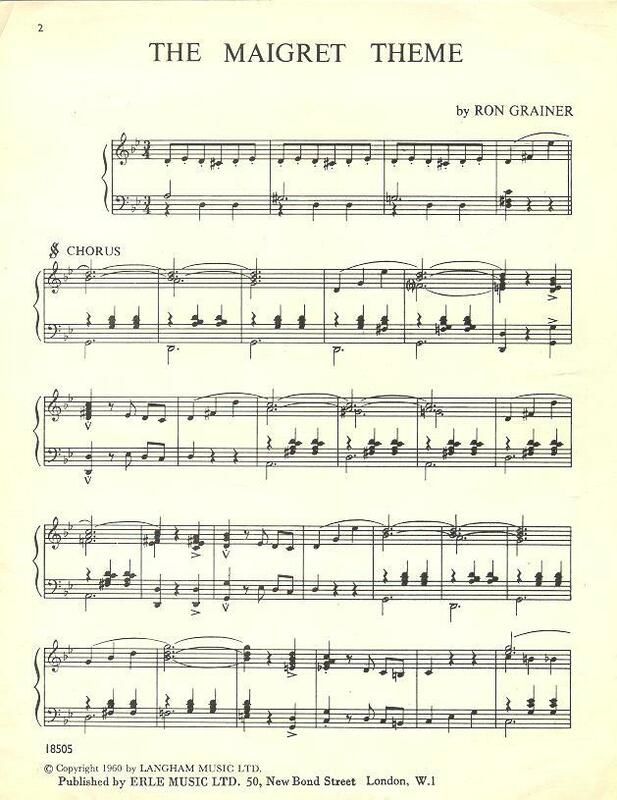 And to Ian Slater for the Grainer Decca album scans.